Paul is an experienced chief executive and entrepreneur who has founded and run high-tech companies over the last 12 years. 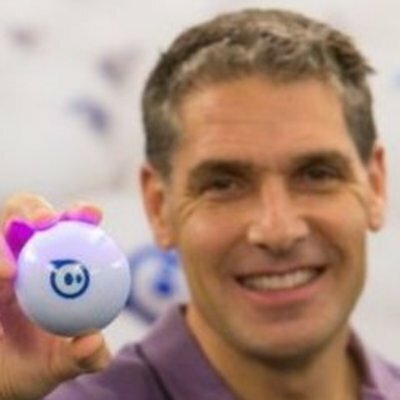 Paul Berberian is the CEO of Sphero, the company that created Sphero, the robotic ball controlled from your smartphone and a Techstars Boulder 2010 company. Paul is the former CEO and co-founder of Raindance Communications (NASDAQ: RNDC), a web and phone conferencing services company. Paul also founded Market Force Information, an emerging information company with a vision to provide retailers, restaurants and consumer packaged goods companies with timely and reliable store-level information about their customers' experiences. Before founding Raindance, Mr. Berberian was co-founder and CEO of LINK-VTC, a video teleconferencing company, which was sold in 1995 to Frontier Communications. Prior to LINK-VTC, Mr. Berberian was co-owner of a plastic badge manufacturer in Long Beach, California. Paul is a US Air Force Academy distinguished graduate, 1989.